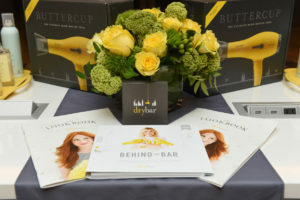 Hyatt Centric Steps up Its Style with First-Ever Drybar Collaboration – Today, Hyatt Centric hotels announced a new relationship with the Drybar, the premier blow dry bar brand, helping guests look their best while shopping, enjoying a taste of the local cuisine and exploring a new destination. Beginning of May 2016, professional Drybar Buttercup Blow-Dryers will begin to roll out in every Hyatt Centric guestroom nationwide. WONDERING WHAT TO PACK FOR VEGAS? TIPS FROM ARIA RESORT & CASINO, LAS VEGAS – What do you plan on packing for your one-of-a-kind Vegas experience? No matter the size of your luggage, prepare to live large. Bring your distinctive style, your colorful attitude and your appreciation of the unexpected. Check out these tips from Aria Resort & Casino, Las Vegas.